BLOODSPORT: AKA Robert Dubois, is a mercenary for hire. He was hired by Morgan Edge, a National City industrial developer, to disrupt Girl of Steel day. By creating an act of domestic terrorism, Bloodsport was looking to level a large waterfront area of National City. Morgan Edge was hoping to buy up the property afterwards for pennies on the dollar and create a new upper-class only development. 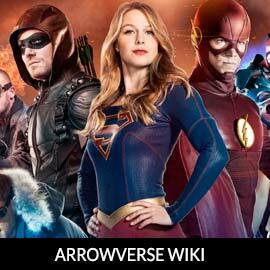 For more on Bloodsport, check out our partners at ArrowverseWiki.